I took randam sampling method in Mahale mountains national park. 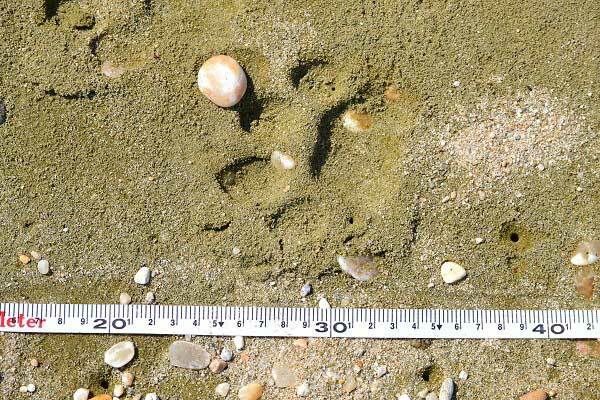 I corrected feces of leopards and recorded where feces and foot prints were with using GPS. It is known that Leopards eat their prey without chewing well. 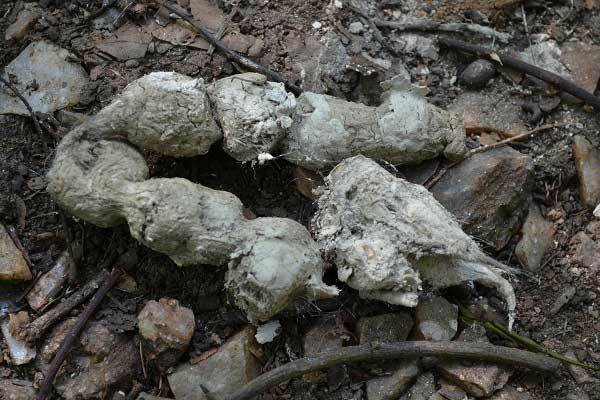 So, bones, hair and skin of prey can be found in feces of them. I investigated what they eat. I weighed the feces in dry condition. I brought those samples Japan, and I will identify them. And I set 8 camera traps in the place where I found new feces and where people looked leopard. I had done some reserach in night time for direct observation. Though I couldn't watch them in fact, I estimated where they were from their roars, and recorded it. I did almost same research in Ugalla, but I took field signs of not only leopards but also lions, hyenas, lycaons. I took feces of leopards the most there. However, feeding habitat is clearly different from those of Mahale. I will analyze these data in detail soon.